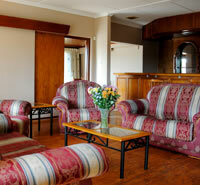 Convenient and affordable accommodation in Buffalo City. Unwind in our tranquil garden, relax beside a sparkling pool. 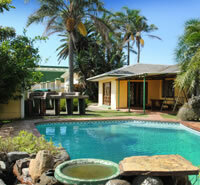 Make your selection from a variety of accommodation on offer to suit your needs. Our accommodation includes single and double rooms with en suite bathrooms, self-catering units, dormitories and a self-contained cottage, which makes Airport Lodge the ideal destination for long term visits, large groups of employees or staff requiring a quick stopover. Make a booking enquiry. View accommodation.